Clean CARFAX. CertifyPlus Lifetime Powertrain Warranty, Patty Peck Premium Certifyplus Honda with Lifetime Powertrain Warranty, Fit Sport CertifyPlus, Lunar Silver Metallic, Black w/Cloth Seat Trim, Electronic Stability Control, Exterior Parking Camera Rear, Fully automatic headlights, Illuminated entry, Radio: AM/FM Audio System, Security system, Speed control, Spoiler, Steering wheel mounted audio controls, Traction control, Wheels: 16 Gloss-Black Alloy. Odometer is 3053 miles below market average! 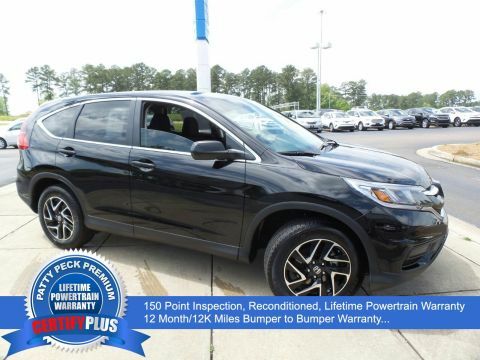 Priced below KBB Fair Purchase Price!Patty Peck Honda - Mississippi's #1 Volume Honda Dealer - Large inventory of Honda Certified vehicles along with a great selection of other quality used cars, SUVs, Mini Van and Trucks. We offer Perfect Prices, Incredible Inventory and Superior Service. Come in and see for yourself how we make your car buying experience different. We are a Jackson MS area Honda Dealer located in Ridgeland. New Price! Clean CARFAX. w/Honda Sensing Fit LX w/Honda Sensing, Milano Red, Black Cloth, ABS brakes, Electronic Stability Control, Illuminated entry, Low tire pressure warning, Remote keyless entry, Traction control.Patty Peck Honda - Mississippi's #1 Volume Honda Dealer - Large inventory of Honda Certified vehicles along with a great selection of other quality used cars, SUVs, Mini Van and Trucks. We offer Perfect Prices, Incredible Inventory and Superior Service. Come in and see for yourself how we make your car buying experience different. We are a Jackson MS area Honda Dealer located in Ridgeland. Recent Arrival! CARFAX One-Owner. Clean CARFAX. CertifyPlus Lifetime Powertrain Warranty, Patty Peck Premium Certifyplus Honda with Lifetime Powertrain Warranty, Accord Sport CertifyPlus, Crystal Black Pearl, Black w/Cloth Seat Trim, 19 Alloy Wheels, AM/FM radio, CD player, Exterior Parking Camera Rear, Front dual zone A/C, Fully automatic headlights, Remote keyless entry, Security system, Speed control, Spoiler. 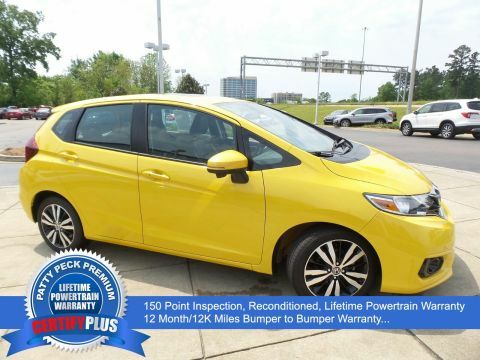 26/35 City/Highway MPGPatty Peck Honda - Mississippi's #1 Volume Honda Dealer - Large inventory of Honda Certified vehicles along with a great selection of other quality used cars, SUVs, Mini Van and Trucks. We offer Perfect Prices, Incredible Inventory and Superior Service. Come in and see for yourself how we make your car buying experience different. 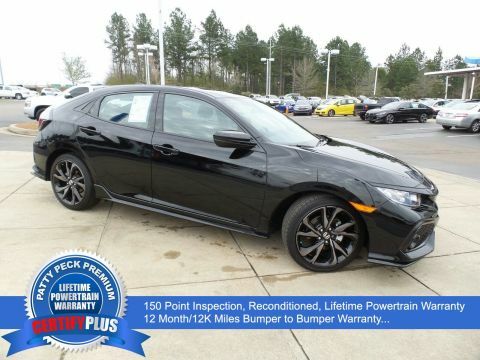 We are a Jackson MS area Honda Dealer located in Ridgeland.Awards:* ALG Residual Value Awards * 2016 KBB.com Brand Image Awards2016 Kelley Blue Book Brand Image Awards are based on the Brand Watch(tm) study from Kelley Blue Book Market Intelligence. Award calculated among non-luxury shoppers. For more information, visit www.kbb.com. Kelley Blue Book is a registered trademark of Kelley Blue Book Co., Inc.
Clean CARFAX. Lifetime Powertrain Warranty, Patty Peck Premium Certifyplus Honda with Lifetime Powertrain Warranty, Civic LX, Aegean Blue Metallic, Black Cloth, Automatic temperature control, Electronic Stability Control, Exterior Parking Camera Rear, Front Bucket Seats, Fully automatic headlights, Power door mirrors, Power windows, Radio data system, Radio: 160-Watt AM/FM Audio System, Security system, Speed control, Steering wheel mounted audio controls. Odometer is 11995 miles below market average! Priced below KBB Fair Purchase Price! 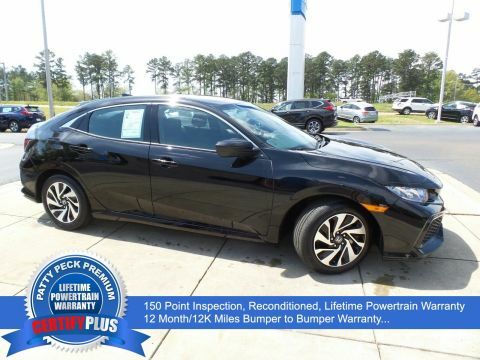 31/40 City/Highway MPGPatty Peck Honda - Mississippi's #1 Volume Honda Dealer - Large inventory of Honda Certified vehicles along with a great selection of other quality used cars, SUVs, Mini Van and Trucks. We offer Perfect Prices, Incredible Inventory and Superior Service. Come in and see for yourself how we make your car buying experience different. We are a Jackson MS area Honda Dealer located in Ridgeland. Clean CARFAX. CertifyPlus Lifetime Powertrain Warranty, Patty Peck Premium Certifyplus Honda with Lifetime Powertrain Warranty, Fit EX-L CertifyPlus, Helios Yellow Pearl, Black w/Leather Seat Trim, AM/FM radio: SiriusXM, Distance-Pacing Cruise Control, Electronic Stability Control, Exterior Parking Camera Rear, Front reading lights, Fully automatic headlights, Heated door mirrors, Heated Front Bucket Seats, Leather Seat Trim, Power moonroof, Radio data system, Rear window wiper, Remote keyless entry, Security system, Spoiler, Steering wheel mounted audio controls, Traction control, Trip computer, Turn signal indicator mirrors, Variably intermittent wipers, Wheels: 16 Machine-Finished Alloy w/Black Inserts. Odometer is 1648 miles below market average! 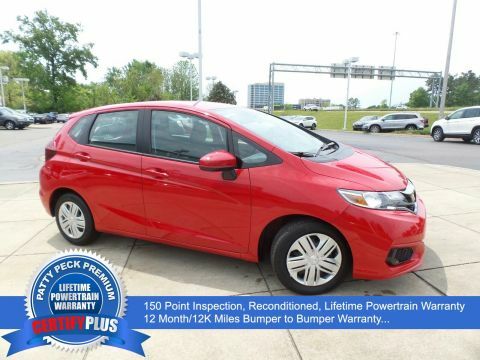 31/36 City/Highway MPGPatty Peck Honda - Mississippi's #1 Volume Honda Dealer - Large inventory of Honda Certified vehicles along with a great selection of other quality used cars, SUVs, Mini Van and Trucks. We offer Perfect Prices, Incredible Inventory and Superior Service. Come in and see for yourself how we make your car buying experience different. We are a Jackson MS area Honda Dealer located in Ridgeland. New Price! Clean CARFAX. Lifetime Powertrain Warranty, Patty Peck Premium Certifyplus Honda with Lifetime Powertrain Warranty, Civic LX, Crystal Black Pearl, Black w/Cloth Seat Trim, Alloy wheels, Automatic temperature control, Exterior Parking Camera Rear, Fully automatic headlights, Illuminated entry, Radio: 160-Watt AM/FM Audio System, Reclining Front Bucket Seats, Security system, Speed control, Spoiler, Steering wheel mounted audio controls. Odometer is 6227 miles below market average!Patty Peck Honda - Mississippi's #1 Volume Honda Dealer - Large inventory of Honda Certified vehicles along with a great selection of other quality used cars, SUVs, Mini Van and Trucks. We offer Perfect Prices, Incredible Inventory and Superior Service. Come in and see for yourself how we make your car buying experience different. We are a Jackson MS area Honda Dealer located in Ridgeland. Clean CARFAX. CertifyPlus Lifetime Powertrain Warranty, Civic LX CertifyPlus, Crystal Black Pearl, Black w/Cloth Seat Trim, Alloy wheels, Automatic temperature control, Electronic Stability Control, Exterior Parking Camera Rear, Fully automatic headlights, Radio data system, Radio: 160-Watt AM/FM Audio System, Reclining Front Bucket Seats, Remote keyless entry, Security system, Speed control, Spoiler, Traction control. 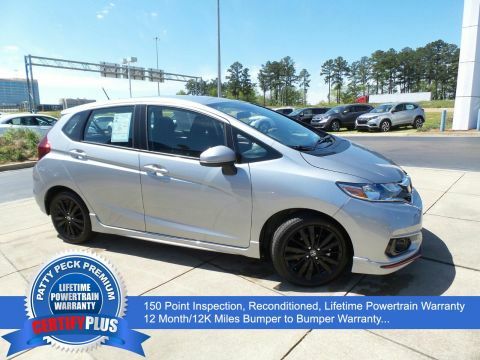 Odometer is 3188 miles below market average!Patty Peck Honda - Mississippi's #1 Volume Honda Dealer - Large inventory of Honda Certified vehicles along with a great selection of other quality used cars, SUVs, Mini Van and Trucks. We offer Perfect Prices, Incredible Inventory and Superior Service. Come in and see for yourself how we make your car buying experience different. We are a Jackson MS area Honda Dealer located in Ridgeland. Clean CARFAX. CertifyPlus Lifetime Powertrain Warranty, Civic Sport CertifyPlus, Crystal Black Pearl, Black Cloth, Automatic temperature control, Electronic Stability Control, Exterior Parking Camera Rear, Four wheel independent suspension, Front Center Armrest, Fully automatic headlights, Radio data system, Radio: 160-Watt AM/FM Audio System, Rear window defroster, Reclining Front Bucket Seats, Security system, Speed control, Spoiler, Steering wheel mounted audio controls, Traction control. 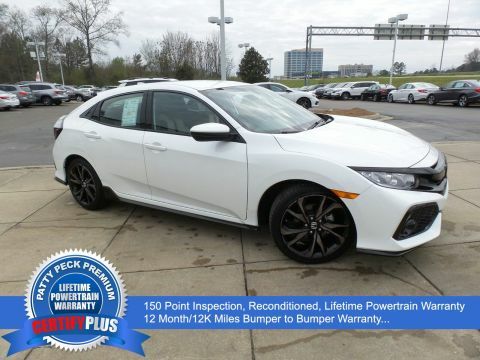 Priced below KBB Fair Purchase Price!Patty Peck Honda - Mississippi's #1 Volume Honda Dealer - Large inventory of Honda Certified vehicles along with a great selection of other quality used cars, SUVs, Mini Van and Trucks. We offer Perfect Prices, Incredible Inventory and Superior Service. Come in and see for yourself how we make your car buying experience different. We are a Jackson MS area Honda Dealer located in Ridgeland. Clean CARFAX. Bargain Buster ! !, Insight LX, 1.5L I4 SMPI Hybrid DOHC 16V LEV3-SULEV30, CVT, White Orchid, 16 Aluminum Alloy Wheels, Distance pacing cruise control: Adaptive Cruise Control with Low-Speed Follow, Electronic Stability Control, Exterior Parking Camera Rear, Front Bucket Seats, Fully automatic headlights, Heated door mirrors, Radio data system, Radio: 160-Watt Audio System w/6 Speakers, Security system. 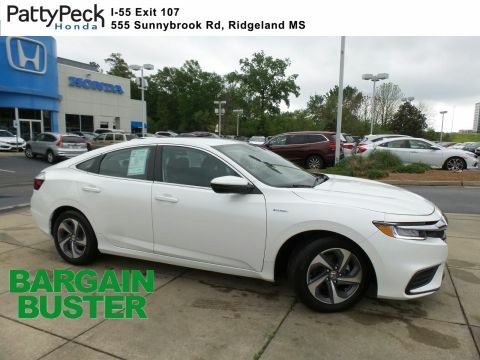 55/49 City/Highway MPGPatty Peck Honda - Mississippi's #1 Volume Honda Dealer - Large inventory of Honda Certified vehicles along with a great selection of other quality used cars, SUVs, Mini Van and Trucks. We offer Perfect Prices, Incredible Inventory and Superior Service. Come in and see for yourself how we make your car buying experience different. We are a Jackson MS area Honda Dealer located in Ridgeland. Clean CARFAX. CertifyPlus Lifetime Powertrain Warranty, Patty Peck Premium Certifyplus Honda with Lifetime Powertrain Warranty, Civic Sport CertifyPlus, White Orchid, Sport Cloth, Alloy wheels, Automatic temperature control, Electronic Stability Control, Exterior Parking Camera Rear, Fully automatic headlights, Radio: 160-Watt AM/FM Audio System, Reclining Front Bucket Seats, Remote keyless entry, Security system, Speed control, Spoiler, Steering wheel mounted audio controls, Traction control. Odometer is 2615 miles below market average! 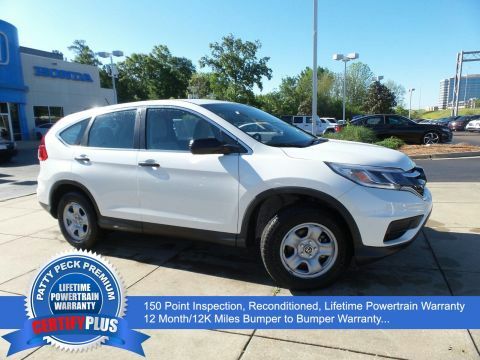 Priced below KBB Fair Purchase Price!Patty Peck Honda - Mississippi's #1 Volume Honda Dealer - Large inventory of Honda Certified vehicles along with a great selection of other quality used cars, SUVs, Mini Van and Trucks. We offer Perfect Prices, Incredible Inventory and Superior Service. Come in and see for yourself how we make your car buying experience different. We are a Jackson MS area Honda Dealer located in Ridgeland. Recent Arrival! CARFAX One-Owner. Clean CARFAX. CertifyPlus Lifetime Powertrain Warranty, Patty Peck Premium Certifyplus Honda with Lifetime Powertrain Warranty, Accord Sport CertifyPlus, Crimson Red Pearl, Black Cloth, Alloy wheels, AM/FM radio, Automatic temperature control, CD player, Electronic Stability Control, Exterior Parking Camera Rear, Front Bucket Seats, Front dual zone A/C, Fully automatic headlights, Illuminated entry, Radio data system, Radio: 160-Watt AM/FM Audio System, Remote keyless entry, Security system, Speed control, Speed-sensing steering, Split folding rear seat, Spoiler, Steering wheel mounted audio controls. 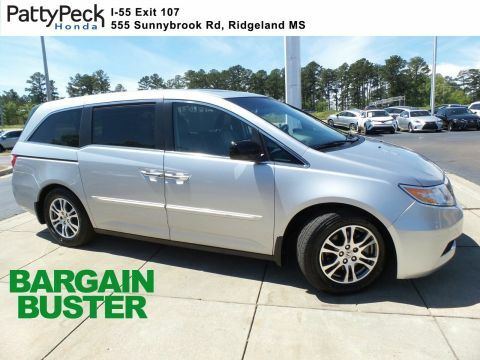 26/34 City/Highway MPGPatty Peck Honda - Mississippi's #1 Volume Honda Dealer - Large inventory of Honda Certified vehicles along with a great selection of other quality used cars, SUVs, Mini Van and Trucks. We offer Perfect Prices, Incredible Inventory and Superior Service. Come in and see for yourself how we make your car buying experience different. 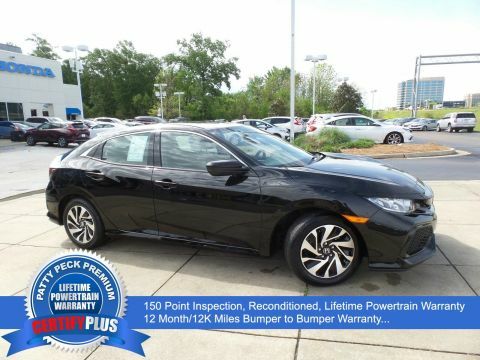 We are a Jackson MS area Honda Dealer located in Ridgeland.Awards:* ALG Residual Value Awards * 2017 IIHS Top Safety Pick+ (When equipped with Honda Sensing and specific headlights) * 2017 KBB.com Brand Image Awards * 2017 KBB.com 10 Most Awarded Brands2016 Kelley Blue Book Brand Image Awards are based on the Brand Watch(tm) study from Kelley Blue Book Market Intelligence. Award calculated among non-luxury shoppers. For more information, visit www.kbb.com. Kelley Blue Book is a registered trademark of Kelley Blue Book Co., Inc. Recent Arrival! CARFAX One-Owner. Clean CARFAX. CertifyPlus Lifetime Powertrain Warranty, Patty Peck Premium Pre-owned Vehicle with Lifetime Powertrain Warranty, Accord Sport CertifyPlus, Basque Red Pearl, Black w/Cloth Seat Trim, 19 Alloy Wheels, AM/FM radio, Automatic temperature control, CD player, Electronic Stability Control, Exterior Parking Camera Rear, Four wheel independent suspension, Front Bucket Seats, Front dual zone A/C, Fully automatic headlights, Security system, Speed control, Spoiler, Traction control. Odometer is 24055 miles below market average! 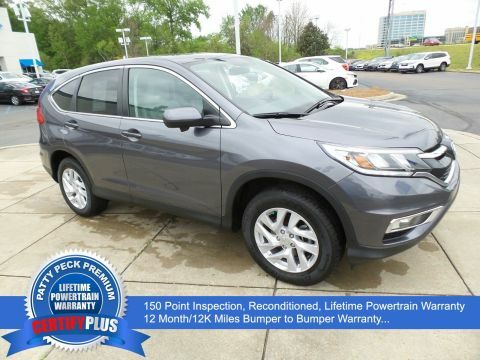 26/35 City/Highway MPGPatty Peck Honda - Mississippi's #1 Volume Honda Dealer - Large inventory of Honda Certified vehicles along with a great selection of other quality used cars, SUVs, Mini Van and Trucks. We offer Perfect Prices, Incredible Inventory and Superior Service. Come in and see for yourself how we make your car buying experience different. 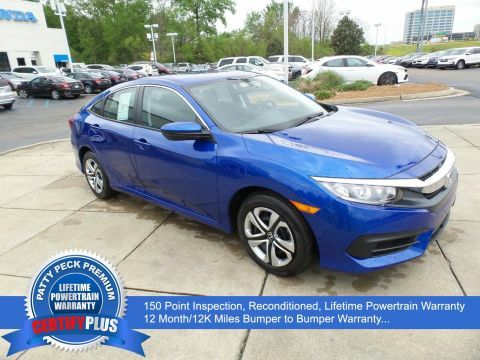 We are a Jackson MS area Honda Dealer located in Ridgeland.Awards:* ALG Residual Value Awards * 2016 KBB.com Brand Image Awards2016 Kelley Blue Book Brand Image Awards are based on the Brand Watch(tm) study from Kelley Blue Book Market Intelligence. Award calculated among non-luxury shoppers. For more information, visit www.kbb.com. Kelley Blue Book is a registered trademark of Kelley Blue Book Co., Inc.
Shopping for a vehicle might seem difficult when it comes it comes to finding a car that meets your needs and fits your budget, but it’s easy here at our new and used car dealership in Ridgeland. That’s because we offer quality vehicles at affordable prices to meet your needs! 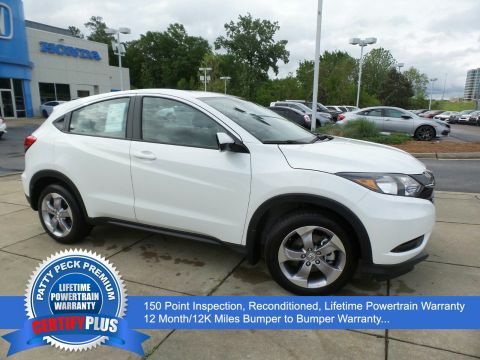 You deserve to feel at ease behind the wheel of the vehicle you choose, which is why the Patty Peck Honda team puts dependability first when curating our inventory of pre-owned vehicles. Every vehicle we receive must ensure a strict inspection process to ensure it’s of the utmost quality before it’s put up for sale on our lot. The result is an inventory of vehicles that you can count on; no need to worry about reliability, just finding the car that fits your style! Of course, our stringent standards for quality apply to every vehicle that we sell. That means that when you shop from the selection of specially priced affordable used cars at our Jackson area dealership, you can feel that same confidence. We take pride in our vehicles so that you can, too, no matter what your budget is like. 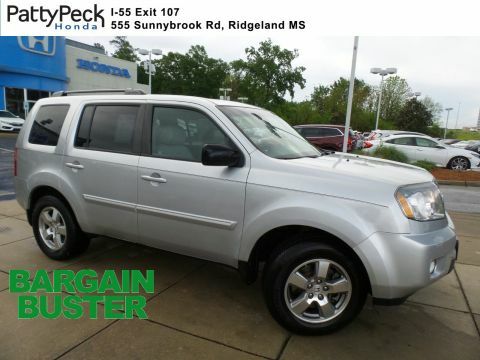 For more information on our sprawling selection of used cars, including many different makes and models, be sure to contact Patty Peck Honda in Ridgeland by calling (601) 957-3400. We’re proud to serve the Jackson, Brandon, Flowood, and Madison areas.